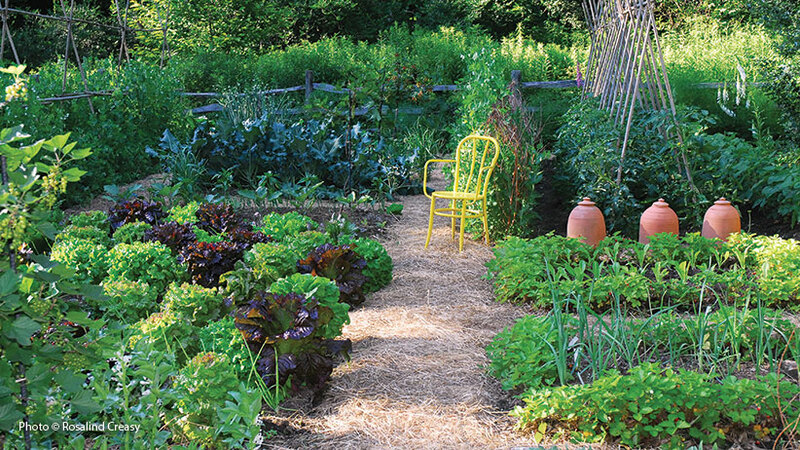 Learn how to get fresh, flavorful and fulfilling vegetables from your own backyard. Nearly all vegetables and herbs prefer sunny locations. Your garden needs 6 to 8 hours of sunlight a day. Choose a spot away from trees and shrubs so your plants don’t have to compete with established plantings for water and nutrients. Siting your garden within hose length of your house will also make watering chores easier. In fact, the closer your garden is to your home, the more likely you’ll be to keep up with weeding and harvests. Proximity creates love! Depending on the size of your garden, you may also want to add stepping stones or paths so that planting, weeding, watering and harvesting are easier. Garden veggies can be planted in two forms: seeds or seedlings. A seed pack can be purchased for a couple bucks and will yield dozens of plants. Seeds are the best way to start vegetables that are planted in mass quantities, such as spinach, lettuce, carrots and beans. They are also ideal for large-seeded veggies that sprout quickly in warm soil, such as melons, squash and cucumber. For crops that take longer to mature, such as tomatoes, eggplants and peppers, it’s often easier to buy started seedlings. 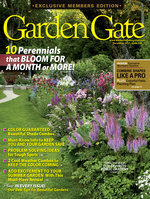 Most vegetable gardens are a combination of sown seeds and planted seedlings. When you’re reading about a vegetable variety, you might see “days to harvest” in the description. If you’re sowing the seeds directly in the garden, it generally refers to the time between germination and harvest. 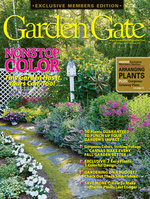 For plants you set out, it usually refers to how long between moving the plant into the garden and harvest. Vegetables need consistent moisture to grow and yield big harvests. Plants that get too wet or too dry can develop problems. For example, overwatered tomatoes may be tasteless. Underwatered vegetables may not produce. Generally, vegetables need 1 in. of water each week. If you stick your finger into the soil and it’s dry past the first knuckle or plants start wilting, they need water. Many herbs prefer drier soils—think about the native Mediterranean growing conditions of oregano (Origanum vulgare hirtum) or rosemary (Romarinus officinalis). Watering deeply and less often is better than quick daily spritzes with the hose. 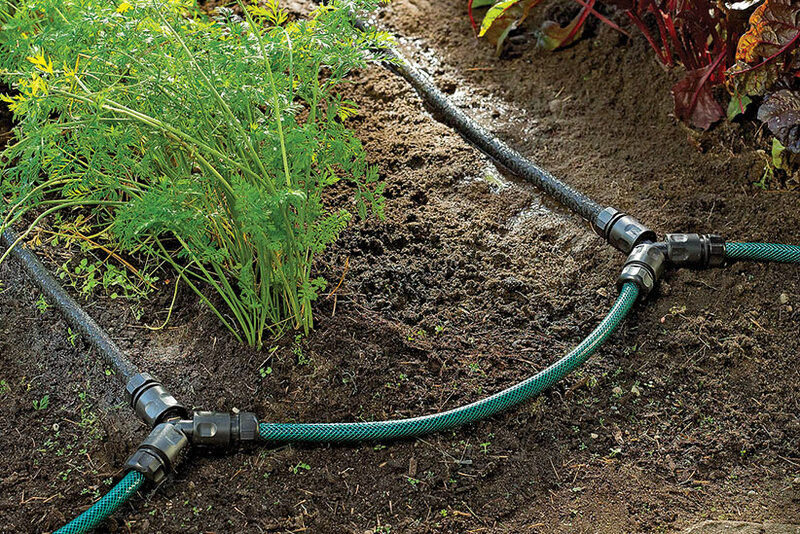 The best way to quench your garden’s thirst (and also the easiest) is to deliver water directly to the root systems by using drip irrigation or a soaker hose. You can see how this works in the photo above. This cuts down on loss of water due to evaporation and it keeps moisture off leaves, which can lead to fungal problems. If you have a small garden or containers, hand watering works well, too. Water the base of the plants, not the leaves. The first step in feeding your plants is to start with good soil. Soil with adequate organic matter will provide natural nutrients as well as hold moisture—the two things plants need to maintain good health. Some vegetable crops, such as onions, corn, peppers, tomatoes and watermelon, are considered “heavy feeders” which means they need extra nutrients in order to produce top yields. You can feed them in several ways: Add a top dressing of compost around the base of your plants. You can also add a slow-release granular fertilizer when you plant. It will break down over time, adding nutrients as the plant grows. Or you can spray plant foliage with a liquid fertilizer every week or two. When using fertilizers, make sure to follow the instructions on the packaging. More is not better—overfertilizing can harm plants. One of the best ways to keep soil moisture consistent is to add a 1- to 2-in. layer of mulch in all exposed areas. Open soil loses moisture quicker than covered soil does and mulch simply covers the ground, locking in moisture. Use whatever type of mulch is local, accessible or appeals to you aesthetically: Grass clippings, in the photo above, rotted leaves, pine needles and wood chips are all organic options. 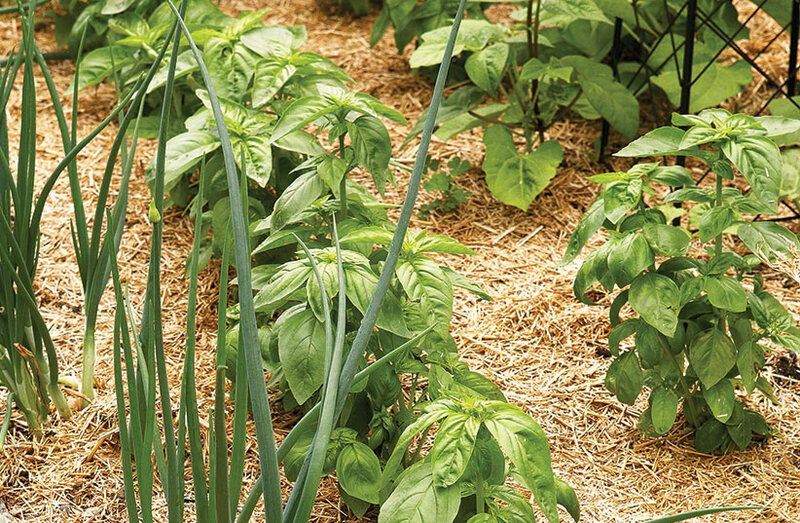 You can also use nonplant mulch, such as shredded newspaper or black plastic, to keep soil covered. Any kind of mulch also reduces weeding chores because most weeds can’t push through. Fewer weeds means a clean-looking garden and less competition for water and nutrients for your vegetables. Some crops need to grow vertically, which also allows you to conserve valuable garden space. Upwardly mobile veggies, such as pole beans, peas, cucumbers, squash and gourds, all need supports. Most tomatoes also require staking. 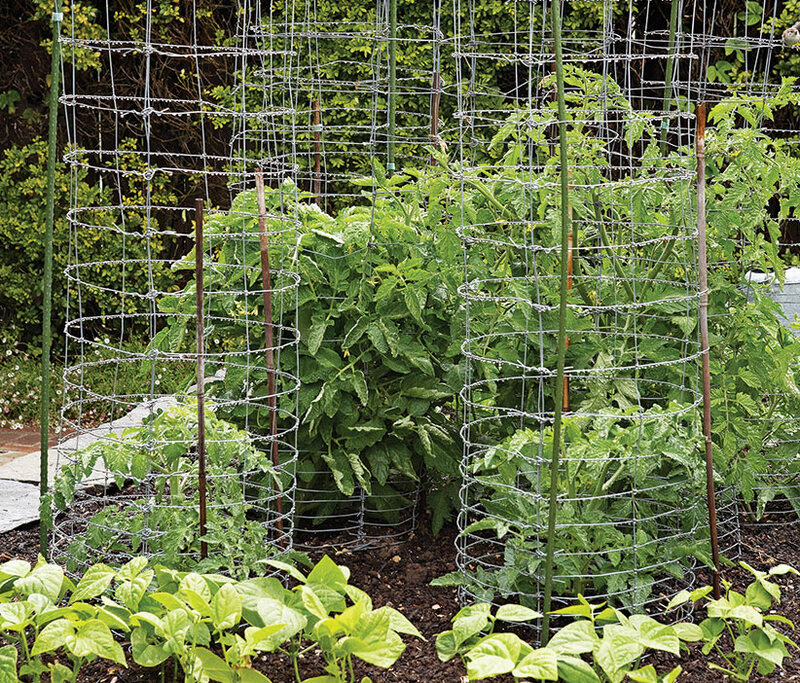 You can use the wire cages in the photo above, existing fences, tepees, or trellises to keep vines lifted from the ground. Staked vegetables experience better air flow and are easier to harvest, too. You aren’t the only one looking forward to your ripening produce. Nibbling mammals, such as rabbits and deer, can mow down your beloved garden overnight. 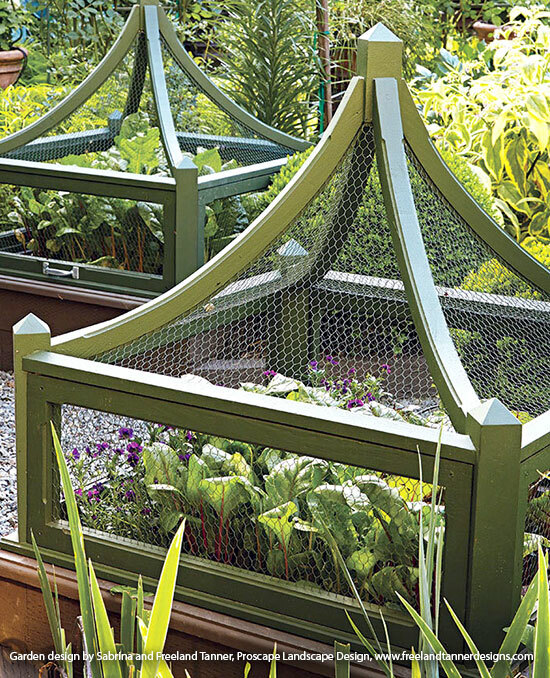 The cages in the photo above are great-looking, but even something as simple as a 3-ft.- tall surrounding of small-mesh chicken wire fencing will protect crops from rabbits. There are a host of chemical and motion-activated “deer deterrents,” but 8-foot-tall fencing is ultimately the best solution (albeit an expensive one). Fruit crops, such as raspberries and strawberries, can be protected with netting to discourage birds. Coolweather crops, such as lettuce, broccoli, spinach and radishes, can be grown in chilly spring and fall temperatures. To protect these early- and late-season harvests when temperatures drop below freezing, use season-extenders, such as row covers. A cold frame, a box with a glass or plastic top, protects seedlings from cold snaps while allowing them to bask in the warming rays of the sun. Just be sure to open up the tops on sunny days or plants could get too warm. Alternately, in Southern climates, use shaded row covers, which filter sunlight and reduce heat so that plants don’t overheat. Ready to get started? 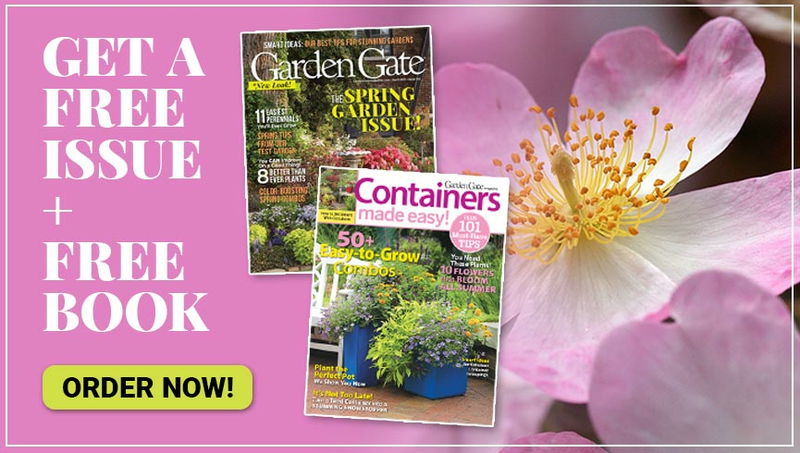 Click here to read our article about several vegetables that are great for beginners, and to learn some tips to grow them successfully.